The Amerock BP1581G10 Inspirations 1-5/16in(33mm) DIA Knob is finished in Satin Nickel. Clean, classic lines in a casual relaxed style, Inspirations is designed to compliment any dicor. The classic Satin Nickel finish provides a sleek, lightly brushed, warm grey metallic look. Inspirations 1-5/16 Inch (33mm) DIA Knob - Satin Nickel The Amerock BP1581G10 Inspirations 1-5/16in(33mm) DIA Knob is finished in Satin Nickel. Clean, classic lines in a casual relaxed style, Inspirations is designed to compliment any dicor. The classic Satin Nickel finish provides a sleek, lightly brushed, warm grey metallic look. Inspirations 1-5/16 Inch (33mm) DIA Knob - Satin Nickel is rated 5.0 out of 5 by 1. Rated 5 out of 5 by Louise from This knob has a beautiful etched design and gorgeous finish.... 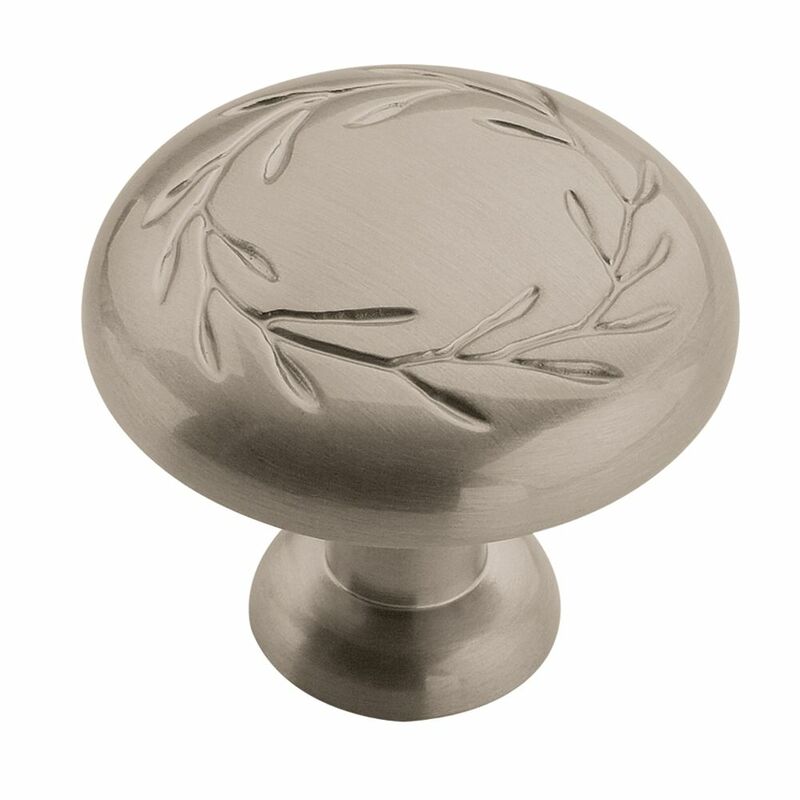 This knob has a beautiful etched design and gorgeous finish. It is the perfect size and weight. My fingers fit nicely behind the knobs face to open my cabinets with ease.